Dr. Tej Bunnag obtained his Bachelor’s degree in Exhibitioner (Hons) from King’s College, Cambridge University, UK in 1965. He has been conferred his Master Degree from Cambridge University and Ph.D. from Oxford University, who then joined the Ministry of Foreign Affairs. 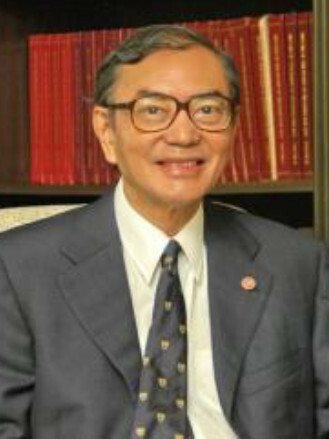 He enjoyed a long carrier in foreign diplomacy, working at the ASEAN secretariat and over the years appointed as the Ambassador to the Democratic People's Republic of Korea, People's Republic of China, France and the United States of America as well as permanent representative to the United Nations Educational, Scientific and Cultural Organisation (UNESCO). He was the former Foreign Minister until September 2008. H.E. Dr. Bunnag, who not only enjoyed a long career in Thai foreign diplomacy but also held the position as Advisor in the Office of His Majesty's Principal Private Secretary. In 1992 he was made Knight Grand Cordon (Special Class) of the Most Exalted Order of the White Elephant; in 1992 Grand Companion (Third Class, higher grade) of the Most Illustrious Order of Chula Chom Klao and in 2004 Knight Commander (Second Class, lower grade) of the Most Illustrious Order of Chula Chom Klao. He also serves as Chairman of the Study and Research Committee of the Thai-Lao Joint Commission, Honorary Advisor of Mekong Institute Council and Chairman of the Honorary Advisory Committee of the Thai-Cambodia Friendship Association. In 2011, he received Honorary Doctorate, Hua Chiao University, Xiamen, Fujian, People’s Republic of China and Merit Medal, Phra Pokklao Institute. Currently he holds the position of Assistant Secretary-General for Administration, the Thai Red Cross Society, of which Princess Sirindhorn is the President.